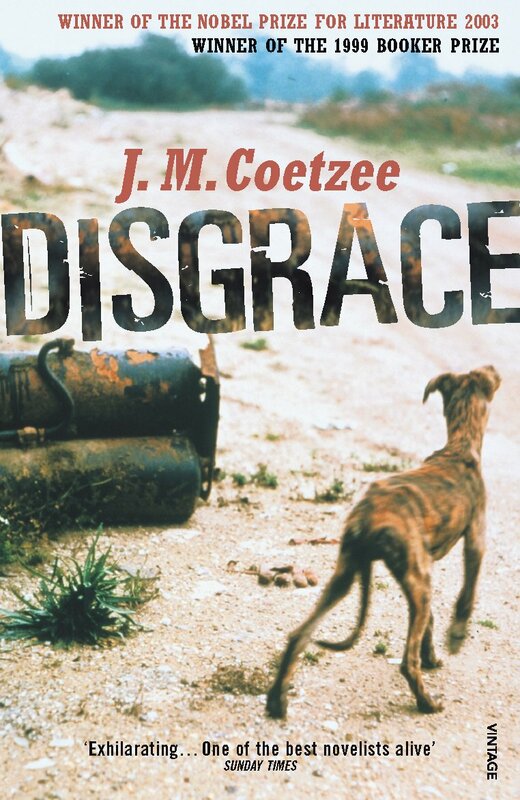 Disgrace by J. M. Coetzee is like a carefully and beautifully composed photo of a rusted car: it draws your attention to a nasty, forgotten thing and makes it fascinating. David Lurie is a 56-year-old divorcee Professor of English in post-apartheid South Africa, content to dwindle away in his final years with a mediocre career and a penchant for prostitutes. His life is less sad than painfully mediocre, and he doesn’t seem bothered by this; in face, he revels in it, glad that,after a life of failed relationships and dreams he is finally able to accept just existing. Then, after bumping into a 20-year-old student of his while walking home from class, he invites her to his apartment and begins a disturbing affair that will be disastrous for both parties, and bring everything he spent his life working for tumbling down around his head. Life in South Africa at this time is not fair for anyone, and Coetzee details how historical injustices pull the strings of modern life even when many would wish to either move on or forget the horrors of the past completely. After a tragedy when visiting his daughter, Laurie is broken in ways I could never have predicted. Coetzee has a fascination with destruction, the way mistakes can tumble on top of one other and shatter multiple lives in their wake. Disgrace is a depressing novel, but also a masterfully crafted one,; it’s barely two-hundred pages, but the brief the length was necessary because it’s also a cruel read that still keeps you interested. The subject matter gets sadder, more disgusting and more frustrating as it goes on but things stay compelling. Despite that it’s not a thriller I couldn’t stop flicking through the pages. It’s truly like watching a train-wreck in the best way possible, leaving you unable to look away from something that can only end in tragedy while keeping you empathetic towards everyone involved. The characters here are deeply, disgustingly flawed, but compelling and believable; none are monsters, and many want to be better people than the world will allow them to be.